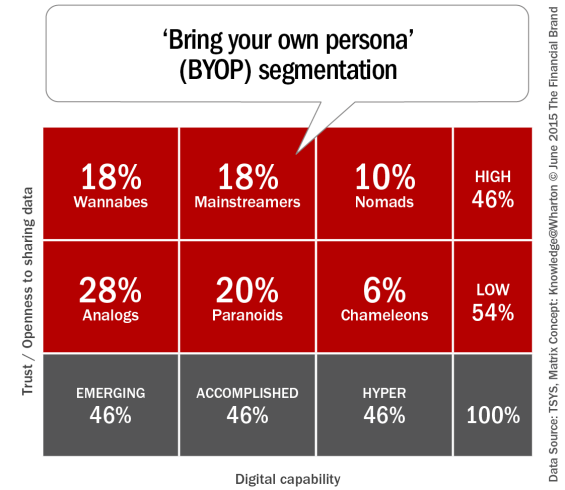 A new model – referred to as "bring your own persona" (BYOP) is built around the dimensions of consumer trust, digital capability and overall relationship. Using this foundation will position financial institutions to win over consumers for lasting success. There is no questioning that the rapid rise in the use of the internet and mobile devices, and the accompanying expansion of social media and data analytics, has changed the way businesses operate. According to Mary Meeker, partner at Kleiner Perkins Caufield & Byers, who delivers an annual Internet Trends Report each year, there are now 2.8 billion Internet users globally, up 8% in 2014, and 2.1 billion smartphone users, up 23 percent in 2014. In addition, Meeker noted the increasingly on-demand nature of the digital consumer. 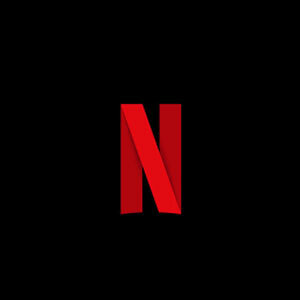 “Consumers increasingly expect that they can get what they want when they want it … this fundamentally changes the underpinnings of business,” Meeker said. These technologies and the way consumers interact digitally have the potential to impact the financial services industry more than any other. According to the Federal Reserve Board report, Consumers and Mobile Financial Services 2015, 39% of adults with mobile phones and bank accounts reported using mobile banking – an increase from 33% a year earlier. 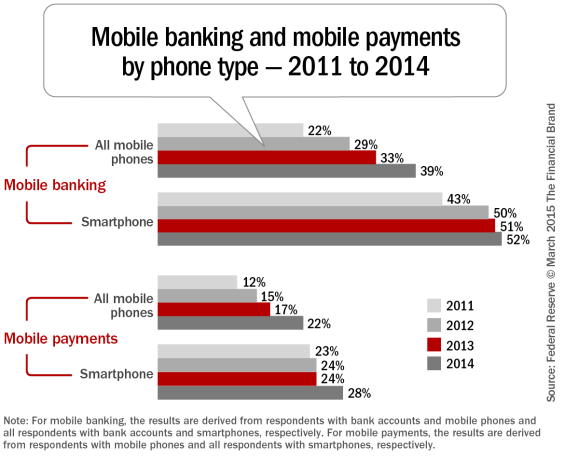 The most common use of mobile banking remains checking account balances or recent transactions. 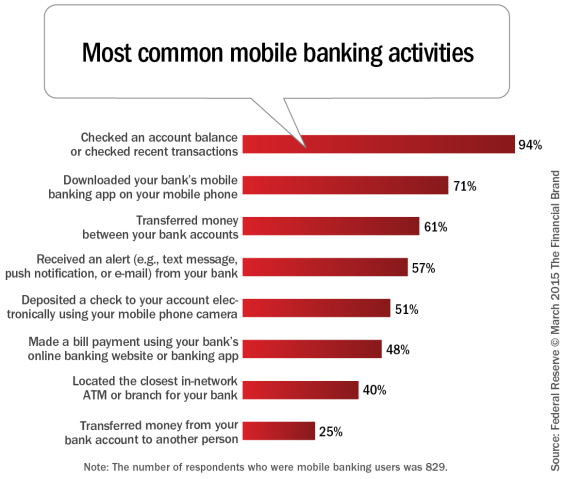 Transferring money between accounts is the second-most common mobile banking activity. More than half of mobile banking users received an alert from their financial institution through a text message, push notification, or e-mail – making this the third most common use of mobile banking. Most financial institutions are leveraging ‘Know Your Customer’ (KYC), traditionally a risk-management tactic and regulatory compliance obligation, as an approach that allows customers to elect their preferred channel of communication. A TSYS report published in association with FICO entitled Engaging Customers: Why Should Financial Institutions Move Toward a ‘Bring Your Own Persona’ Approach suggests this approach is no longer adequate. The report explains that with the growing consumer adoption of mobile devices, social media and improved user interfaces, financial institutions must differentiate themselves by understanding their customers’ preference for digital communication and their degree of trust in sharing financial information through digital channels. This new model is referred to as “bring your own persona” (BYOP). “Financial institutions now recognize that the traditional approach to communicating with customers is no longer adequate. Relying solely on data such as income, age and geography isn’t enough. In the digital age, customers expect banks to understand their preferred communications channels, willingness to share personal data in various scenarios and ability to transact,” said Bruno Courbage, senior director of Product Management for Customer Management at FICO. For example, customer-provided KYC metrics might be many years old, which could cause an FI to automatically mail letters to customers with account notifications. However, some customers may be willing to receive such notifications via a text message — arguably a more efficient and cost-effective approach, assuming the customer has authorised text-based communications. Additionally, offering consumers new and multiple channels of communication can build loyalty by tailoring communications to each individual’s wants and needs. The text message is lower cost for the institution, and for some consumers, it may be a much better fit with their lifestyle. “The always-connected digital consumer is changing the rules of engagement for businesses, and FIs that react by better understanding their customers and segmenting them based on their level of digital engagement will distinguish themselves within the market,” according to the report. Knoweldge@Wharton originally defined the term BYOP as “identifying new segments by their digital engagement.” According to Wharton, this persona is based on 1) digital capability and 2) trust. The grid below illustrates the various types of consumer profiles based on people’s degree of digital savvy, level of trust, willingness to share data and preferred frequency of interactions. Using this insight to segment customers goes beyond sociodemographic data, because age, income and education are no longer reliable predictors of a consumer’s digital capability. BYOP allows issuers to maximize personalization and relevancy, translating to a higher level of customer engagement and profitability. While there is a time and cost associated with adopting BYOP practices, the benefits are many — for example, better cross-selling of products to the right customers at the right time, leading to increased uptake. 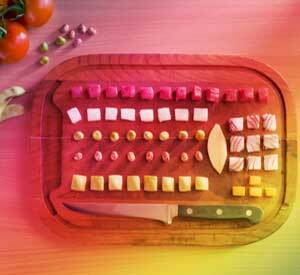 Build personas based on 3 core dimensions. Banks and credit unions should build persona’s based on level of trust, digital proficiency and breadth and depth of relationship. Building personas based on these three dimensions will enable customers to feel understood, since their preferences are recognized. This is a level of understanding that digital natives already expect from other organizations they engage with. 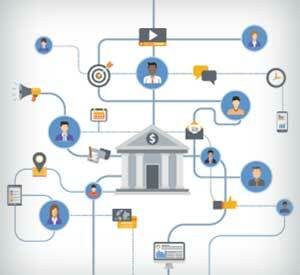 For those consumers less adept at digital banking, FIs should educate and engage. Make two-way communication easy. As opposed to one-way communication, this two-way communication must be on the consumers’ terms. 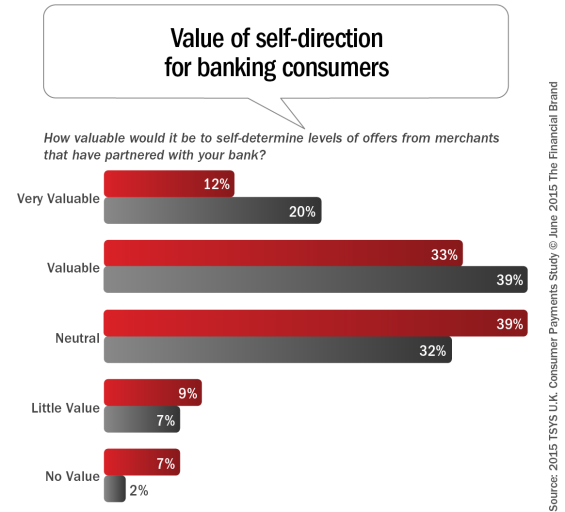 This is reinforced by the Synergistics research which found that 67% of respondents are “comfortable” or “totally comfortable” with self-service applications that support banking activities. An example of consumer-driven digital communication is Bank of America’s robust mobile app that allows users to turn account notifications and alerts on and off. An issuer could also allow consumers who use the mobile app to alert their bank or credit union that they are travelling abroad — a task that currently requires most consumers to call their banking organization or use its website. “While omnichannel communication involves creating a consistent customer experience across multiple channels, BYOP takes it a step further by offering a continuous experience. All channels — phone, agent, Internet, mobile and social media — must be well-developed in order to offer a continuous experience,” according to the report. Build and maintain trust. Converting existing data into insightful intelligence and creating digital customer profiles with a BYOP approach can build trust through better decision making on an individual level. Greater personalization — and providing the right offers or information at the right time — also builds trust with digital consumers. Building trust musty include providing clear value in exchange for data collected. It is essential for banks to operate within the parameters established by the consumer, because not doing so could break the customer’s trust and preclude future interactions with that customer in the digital realm. For instance, the ability to self-determine the frequency of offers from a bank’s merchant partners is among the top two rankings (most valuable) on a scale of one to seven. Banks and credit unions need to respect these types of preferences to maintain trust. Roll out BYOP with caution. According to the TSYS/FICO report, when organizations gather data — such as phone numbers, email addresses and Internet browser cookies — they must be transparent with consumers about how the data will be used and allow the individuals to have control over use. Letting consumers opt in to offers is one way organizations let consumers determine how their data is used, and such ability tends to engender more trust than when consumers are required to opt out of offers because they are overwhelmed with unwanted communications. “Financial institutions’ relationships with their customers are changing, largely driven by two key influencers — the adoption of enabling technology and the insight available from big data. Organizations that embrace big data, use it to better understand their customers’ habits and preferences and combine it with the user experience will have a true strategic advantage,” said John Goodale, group executive, product and market development, TSYS International. This article was originally published on June 8, 2015 . All content © 2019 by The Financial Brand and may not be reproduced by any means without permission.